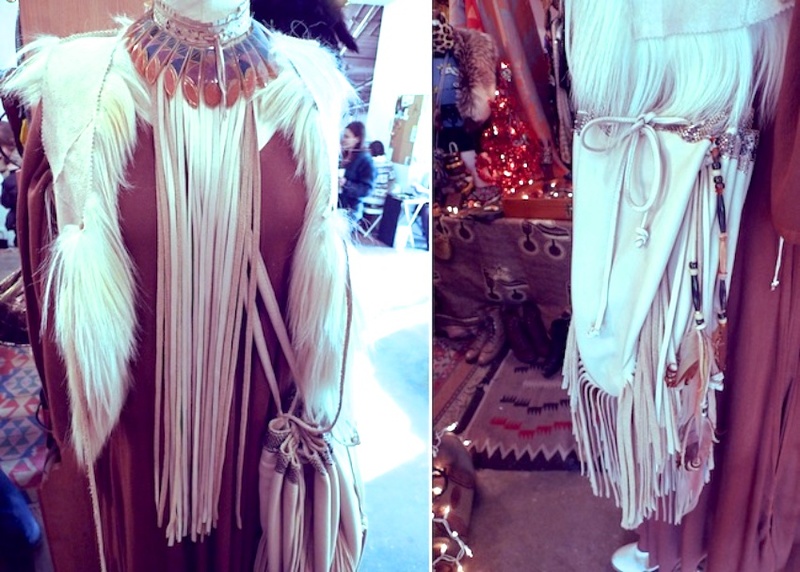 Over time I’ve talked about my favorite vintage shops, but here they are in one blog post. These are the places that I take friends to and they are the places that I shop the most for vintage and thrift. Keep this information and use it as your New York shopping city guide the next time that you are here. Oh my God. To this day I kick myself for not finding this place sooner. 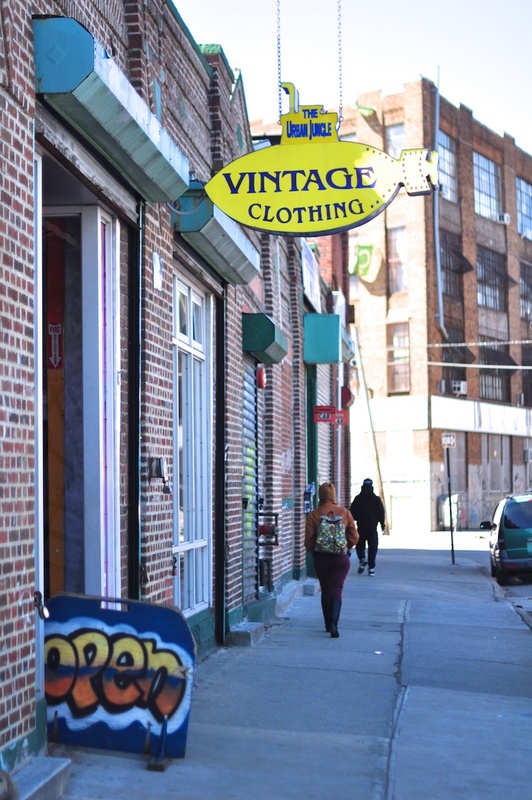 This is a giant Aladin’s cave of vintage and thrift at ridiculous price points. Make a bee line for the endless racks of summer dresses (around $20) and leather jackets. Also check out their bags which at a glance seem meh, but keep digging and you unearth ones like this suede bag. You can literally lose yourself in here so take your time because it’s worth it. I love this small gem tucked away in the east village. It’s relatively quiet which is relaxing and always makes me think how the heck is this place not mobbed. This studded leather jacket was found there. There’s a well curated section of mens jackets that clearly women could wear. Loads of women’s jackets and coats and an impressive selection of vintage tees. 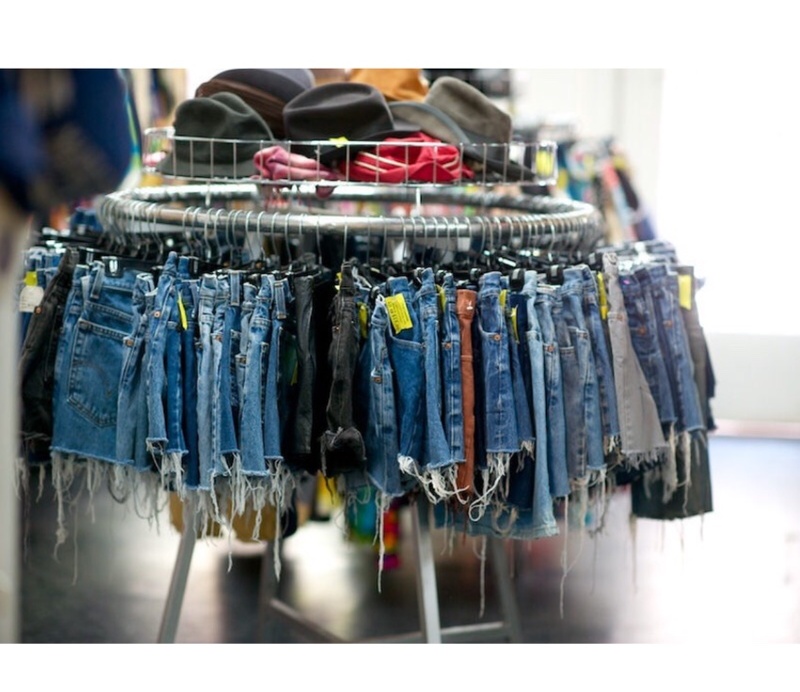 Go in spring for their denim shorts which sell quickly as the summer rolls in. Their outside shop window always makes me want to buy everything in it and I’ve undressed their mannequin constantly. This is the place that I could hand over my entire wardrobe in exchange for what is sold here by Martha the owner. It’s the only vintage spot that makes me gasp when I first walk in. You know when you walk into a place for the first time and want everything? That’s this place. It’s all vintage and re-worked vintage seen through a boho hippy lens. I have written about it before so feel free to read more. Martha also sells on Instagram under the shop name. They are located all over the city but this particular location is better curated for my vibe. Plus they do vintage specific sales days which I have attended and walked out with pieces including a Penny Lane coat and the above Christian Dior coat for $100. It’s a random mish mash of thrift, some vintage plus a few designer pieces (usually inside their glass display cabinet). You know the name but this location is my favorite. You could get lost in this giant warehouse space but thankfully clothes are grouped by colour which makes it easy when looking for the perfect white summer dress or toffee brown leather jacket. Make sure to check out their shoes which are spread across the store and against one long wall. 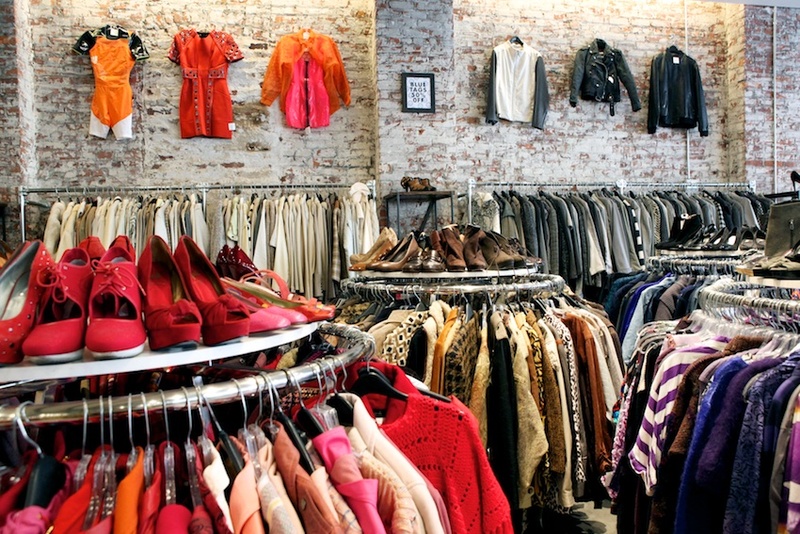 This is where you find past season Acne, Anna Sui, Prada, Comme de Garcon mixed with Free People, Converse and hundreds of random vintage. On my last trip I snapchatted a pre-loved Alexander Wang Brenda bag for around $70. It’s also where I found this Reformation dress. You can sell your clothes here too so it’s a chance to make some cash in hand. This is a relatively new space for Anna, also known as the joint owner of the brand Foley & Corinna. Anna describes herself as a gypsy – read more about her closet in The Full Monty feature here! Being a fellow vintage lover and shopper, her beautiful boutique is loaded with the vintage that you don’t have the patience to find but have always been looking for. Anna shops in different states and brings her finds here. Her eye for vintage is incredible and it shows. No rummaging through heaps of clothes. 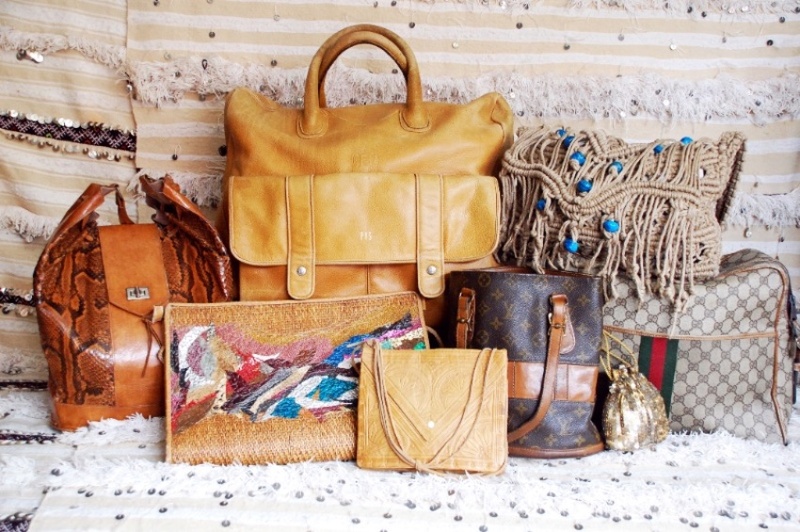 Anna did it for you and I dare you not to be tempted by one of the vintage bags or beautiful vintage pieces for the home.